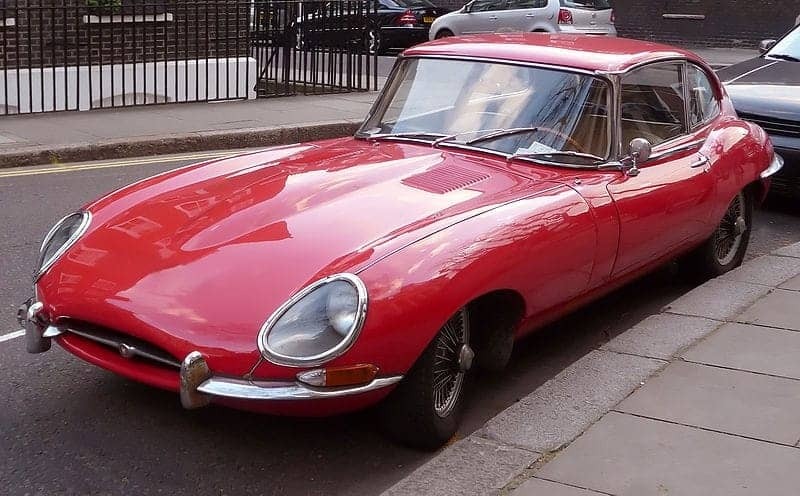 The Jaguar E-Type is a British sports car that was manufactured 1961 to 1975 and generally regarded as the world's most beautiful car of all time. Its combination of beauty and high performance established it as an icon of 1960s motoring. With 150 mph and a sub-7 second 0-60 time, it was the first production vehicle to use the racing design instead of a separate body bolted onto the chassis.